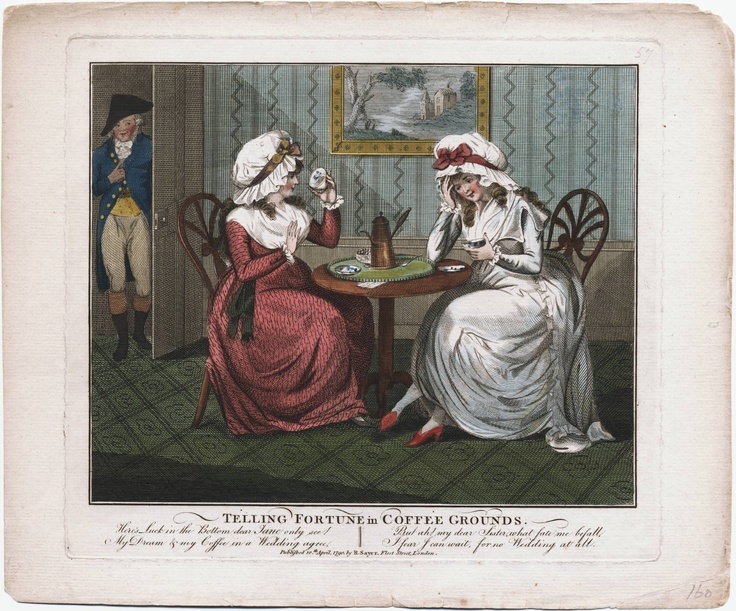 Divination by coffee grounds was an art practiced by ladies and ridiculed by men. 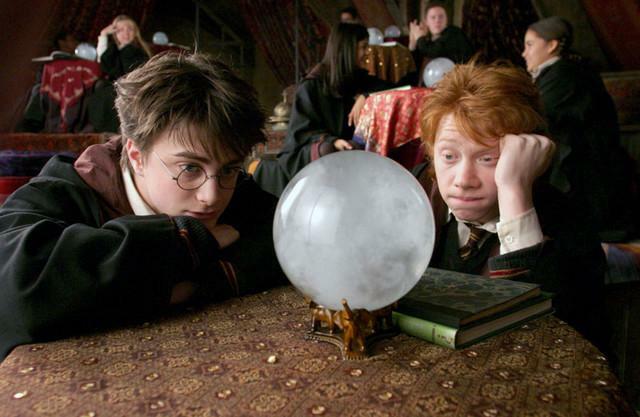 Even 21st century wizards think divination is worthless. Ladies didn’t much care for this no-nonsense approach to fate. Instead, they consumed books like Every Lady’s Own Fortune-Teller, which I’m delighted to say tells us how to read our very own coffee grounds. A Visit From Your Beloved or a Journey: “If you see a clear narrow part between two lines, it signifies a public road. Observe the little atoms in this passage, and their distance from your thumb, as also their direction, whether to the thick part of them are inclined towards you, or from you. If the former, your best beloved is coming to see you. If the latter, he is going away from you; the farther this road is from your thumb, the greater distance he is from you. If it is mostly on the left side, he is only leaving the place he was to come. If mostly on the right side, he is on his arrival. If this clear or white part is long and broad, he is coming by sea. If you see the resemblance of several houses, on or near a road of white space, it signifies a great city or seaport. If there is no large atom in the road or space, you will yourself soon perform a journey or voyage. Marriage, Death, and Popularity: If you see the likeness [of houses], but of one large house with few people or atoms about it, you will be married a short time, that being the emblem of a church. If there is a great crowd, you will attend the funeral of some dear friend. If you perceive the semblance of a coach, which is easily distinguished, you will be speedily raised to honour and dignity. If the likeness should be a horse, you will be married to a person much above your own condition. If you observe the similitude of a gallows, which may happen, we recommend to you to mend your own morals, or caution any of your acquaintance, whom you know to be vicious, of the threatened danger. Wealth: If there appears a great many round small white spots on any part of the cup, it denotes that you will shortly receive a large sum of money. The nearer to your thumb on the right hand side, the sooner you will get it.